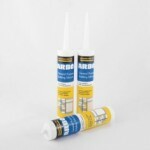 There are lots of great general purpose silicone and DIY sealants on the market that can help to ensure your get the job done right. 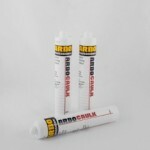 Most DIY sealants are made for a specific type of job and therefore it is essential that you choose the right product. 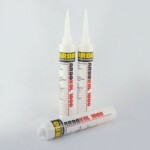 Some DIY sealants such as mastics are used for sealing windows and door frames where as roof and gutter sealants are used to fix cracks in roofs and gutters quickly and easily. At Sealants & Tools, you can choose from a full suite of DIY sealants, perfect for home improvement, as well as, DIY applications around the commercial and residential space. Ranging from roof and gutter sealants, caulk all the way through to laminate and timber sealants, we are sure we have the sealant that you are looking for. 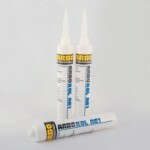 Peruse our selection of DIY sealants and find what is required to get your job done. All of our sealants are from brands that you trust and cover a wide price range. 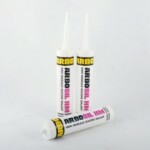 General purpose silicone on the other hand is more flexible and can be used on most smooth and non-porous materials. By creating a waterproof seal they can be used for baths, shower cubicles and sinks in the bathroom. Some even contain anti-fungal compounds to help prevent the growth of mould making them great for applications in the bathroom or kitchen where there can be a high level of humidity. 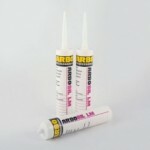 General purpose silicone cures promptly after its application and provides a high strength and permanently flexible waterproof seal. They can be used on metal, wood, glass and even plastic. They are capable of withstanding heat, moisture and vibration, and their low viscosity helps for quick application. Peruse our selection of general purpose silicone and find what you need. You can filter your search in terms of price or brand.